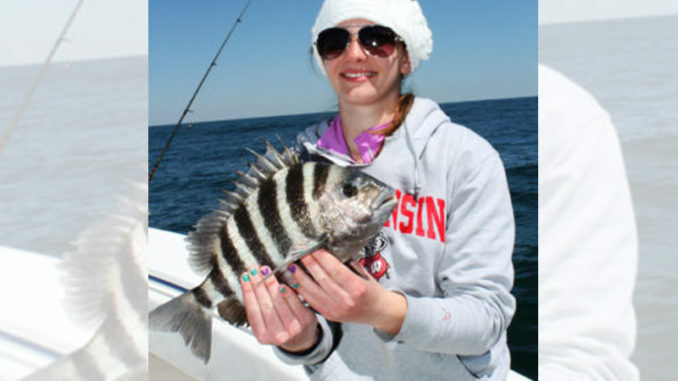 Sheepshead don't mind cold weather, so you can catch plenty during winter in Caroilna waters. 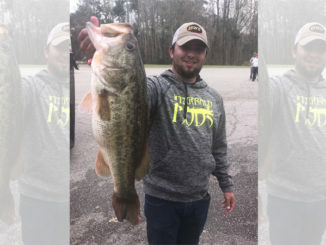 The sheepshead bite has been pretty hot for anglers willing to put in the time during the cold weather. A fiddler crab jigged straight down beside a bridge piling along with some patience is about all it takes to get a bite from these saltwater panfish. 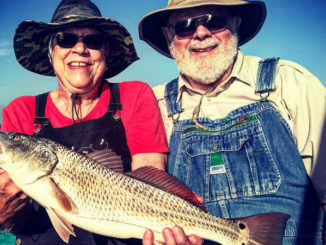 But anglers looking to increase their hookup ratio will see good results if they follow a few tips from John Long of Lady’s Island, S.C. Long doesn’t mind dedicating a full day to pursuing sheepshead exclusively. So he’s learned a few tricks over the past few decades. First, Long said to use the right gear. Sheepshead anglers are pretty opinionated about gear, and Long is no exception. 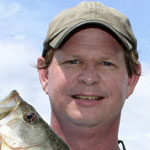 He admits to seeing other anglers catch sheepshead on flimsy rods. But he uses nothing but medium-heavy rods with a fast tip. 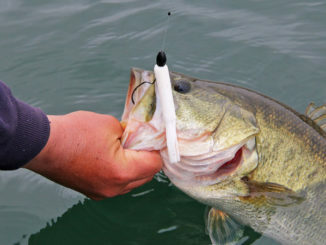 Second, Long said anglers should focus on the right spots. “Don’t waste time on grass flats or open water with no structure. Focus on bridge pilings, downed trees and rock piles. If it has barnacles on it, fish it hard. If it doesn’t have barnacles, look somewhere else,” he said. Long’s third tip is to chum, not by tossing out bloody cut bait, but by scraping barnacles from the structure you’re fishing. “I take a small garden shovel and scrape some off just before I start fishing. This will stir the water up and get the sheepshead interested. It can get them to feed even if they weren’t before,” he said. Fourth, Long said to set your reel’s drag tight. Don’t pamper these fish. “I fish with my drag tight enough so that the fish can’t pull any line out, because if you let these fish run, they will run right into that structure. Those barnacles will cut your line real quick. Use heavy enough line and a tight enough drag that you can muscle them out quickly,” he said. Long prefers fiddler crabs for bait, but said he also has luck on cut shrimp and oyster meat. –Heading to the mountains this winter? Click here for tips on catching freshwater trout in cold weather.